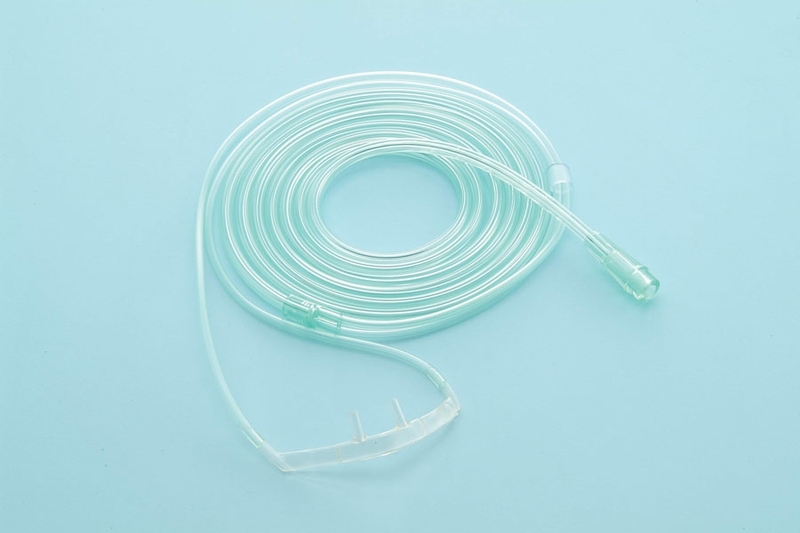 Soft-touch Oxygen Nasal Cannulas provides maximum freedom to the patient and leaves the patient's mouth free for nutritional and communication purpose. With the patient’s ease of fit and maximum comfort in mind, comfy nasal cannulas are designed to ensure equal volume of oxygen to both air passages. With the special one-piece, anatomical prong design reduces the sound of flowing oxygen which eliminates the need for flap can cause irritation for a comfortable fit for long-term use in lower flows oxygen delivery. Anatomical prongs enhance and promote alignment of the cannula to fit naturally on the patient’s face. Soft, curved nasal prongs relieves pressure behind the ears thus minimizing irritation and soreness. Over-the-ear style and position slide ensures secure positioning and comfortable fit allows complete freedom of movement. Soft, lightweight, clear material is better comfort for long-term oxygen patient. Eliminating the irritating flap required with conventional style cannulas. Kink-resistant star-lumen tubing uninterrupted flow of oxygen. Universal oxygen connectors ensure compatibility with all types of oxygen resources. Available in regular or crush-resistant safety tubing in various lengths.